I am a 20 year old college student in Chicago. After reevaluating my decision to go to college, I have realized that dancing is what I really love to do. I have a long history of training in classical ballet and jazz, but am turning 21 soon and am afraid of being too old to succeed professionally in the dance world. Is it too late? I understand your concern and I guess you think that dancers need to have extremely acrobatic skills to succeed professionally. For some types of dance (like ballet or competitive modalities) this may apply. Though, there are many forms of dance in which sophisticated physical skills are not so important (many styles of contemporary dance included). Almost all those types of professionals have been dancers once and if that role didn't give them the best opportunities, they would continue to work for dance in alternative ways. If the only thing you wished was to be the first prima ballerina of the American Ballet Theater, then I'd tell you: yes dear, it is late for you. 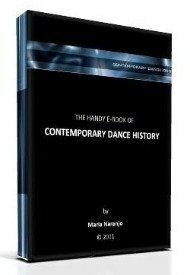 But dance is nowadays a wide artistic field, through which you can search your own place. This includes the possibility of being a professional dancer (even more if you tell me that you do have a long story within ballet and jazz). But, imagine yourself counting numbers, sitting at an office or bidding at your local stock market... How does that feel? Is that what you want for yourself? And do you think that every person that follows those 'less risky' professions does succeed? Consider success as something circumstantial. It depends on you but also on the context in which you live. Measure your expectations and overall personal possibilities and compare them with the working potential you see at your reach (how many dance companies and of what type of dance, institutions, public and private schools, theaters...). You need to do a real, good research for this, because your family support and local dance context might determine your possibilities even more than your physical skills or conditions. This is a delicate matter. Please, read my answer with care, as you have a big, maybe lifetime decision to make. I was once exactly at the point you are now, and I chose dance. Work has been hard, but a lot of gratification has accompanied it. Still, after many years of my lifetime decision, I'm glad I made it (and I live in a far more difficult cultural and economical context than you). If dance gives sense to your life and you feel passion about it, it would be a big shame that you loose that gift. Do you know how many people are there that don't know what they would prefer to do with their lives? Finding and following a vocation is a real way to find spiritual freedom and realization of your self. Freedom has a price, but it is not impossible to pay. Still, no matter what you decide, you will learn, understand and grow. We will receive you with open arms, if it is our magical world you choose. Hi im 15 now and i alwyas wanted to dance before but i couldn't due to some personal reasons. am i too late to start dancing JAZZ at this age of 15 obviously as a beginner since i never danced jazz before ? can i become a professional JAZZ DANCER or not ? The answer may be YES, but that depends on many factors, like your conditions and circumstances. If you want to give it a try, you should start immediately with daily training. Hi. I'm 21. I danced a bit when I was younger, in elementary school, but then my parents pulled me out. I started taking ballet 2hrs 2x a week at my college, and I want to be a professional level dancer- specifically, I want to be on Broadway. I have one teacher in ballroom who says I'm learning quickly, but my ballet teacher mostly ignores me. Can I still get to Broadway as a dancer? I'm planning on increasing my dance classes to about 15 total hours a week, I'm just scared of not being good enough. I can not answer to your question without evaluating you, as you may understand. However, you should know that reaching Broadway is something that does not depend on your talent only. There are various circumstances that make this possible only for some dancers. Still, you can only know how far you can go, if you try. You may make it! But if you don't, you should also know that Broadway is not the only working option for dancers. If you continue studying, you will know many other different opportunities. I am 15. I was a gymnast for 6 years. I am starting Lyrical dance: unfortunately my mom can only afford one class a week. And I'll start classes this summer: will I be a good dancer in two years? When I say good I just want to seem talented at it. I have to body, flexibility, and grace for lyrical dance but I just hope to learn a lot. I hope to be a reasonably good dancer before I graduate high school. I'm a freshman. If you have the physical conditions, some experience and can afford at least one class a week, you can become a great dancer... BUT... you should complement your weekly class with more practice on your own. Repeat what you learn with your teacher and do research on the internet to find more information and training options. Professional dancers practice daily, so if you want to get close to that, you should try to practise likewise. This must be the nicest forum I have ever come across and your responses have just resonated with me so much. Really thoughtful, thank you. Now I am, brace yourselves, 39(!) and this week I'll be going to my first contemporary dance lesson. It is something that I really want to try as a form of self expression and I am tired of thinking I'm too old to start anything artistic (I've been using that excuse since I was 20). I'm not sure there is even a point in me asking if I'm too old to make it as a dancer but any advice you have to offer at all will be much appreciated. I am in great physical shape from training at the gym and doing yoga so I'm hoping that will help. Hi, im 12 years old i started dance when i was 11 is it too late for me to become a professional ballet dancer when im old enough to audition for a company? You can still be a ballet dancer, but consider that there are others that started at the age of 8. So, don't miss class... ! hi I'm 16.i have learned ballet for almost 10 year but just for fun so I'm not a professional ballerina.part of reasons is that my teacher and family never take my dancing a serious thing.one years ago I have a chance to get in to a professional school but I didn't pass the test.and gradually I lost my confidence. I think it is too late for being a good ballet dancer.actually,I have been being sorrowful deeply and doubt myself if I really can keep doing this and really in a bad condition feeling depressed and feeling lonely like no one really supports me.but over time I found that I love dancing and I can't bear that a life without dancing. and recently I fell in love dancing hiphop. is that possible for me to be a good dancer internationally or even a choreography. but under my conditions I don't have much sources except like learning tips online. Being able to make a carrer in the field of dance depends on different circumstances that surround your life and not only on your physical skills. If you really love it, you should at least try. Ballet is difficult indeed, but there are many different types of dance. You may fit into one of them. There's no starting age to become a choreographer, but there's a lot of studying and researching to do. If you feel like trying that, just start right now. Art is something that builds within yourself in time. Don't expect big results at the beginning. It's like a slow growing plant. If you love dance, you should try. Persistance opens ways and doors. You'll see. *I have posted this question in another place, but find this a much better option. But at some point, even staging my own performances in consideration of my own capabilities, would be a tremendous success! Hey... you are very young. Off course you still have a chance. Don't loose any more time and go taking your classes. The more the better!